MyTurboPC is a system optimization tool for Windows-based personal computers. It is specifically designed to increase the performance of your system, while cleaning up the clutter of unnecessary software programs, files and file fragments that present a risk to your system or cause it to be bloated and running slowly. MyTurboPC has a suite of tools included in a single interface making it quick and easy for you to perform specialized functions like a system registry scan, or to schedule and run mundane but important tasks like disk defragmentation. 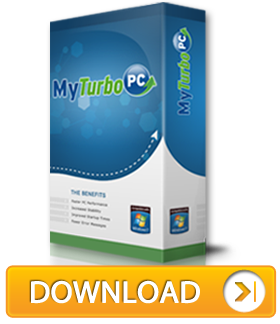 Additionally, MyTurboPC scans your system for malware or other software which may present a security risk to you and the personal sensitive information you may have stored on your computer. By bringing several tools into a single interface, MyTurboPC provides easy access to the optimization and protection utilities you need to keep your computer healthy.